Red Dead Redemption 2 may be side-stepping the typical open-world tropes but it still has one important hallmark: a lengthy campaign. Expect to spend at least 60 hours with Red Dead Redemption 2, supposedly. They were never going to work technically or be quite slick enough, or they felt superfluous. We removed a mission on a train where you had to deal with bounty hunters, because it was fun at first, but then it wasn’t. This part of the process is always about compromise and horse trading. Everyone always loses bits of the game they love. Although those over sixty alleged hours are attributed to the main story, its unclear how much of that naturally integrates side-quests. 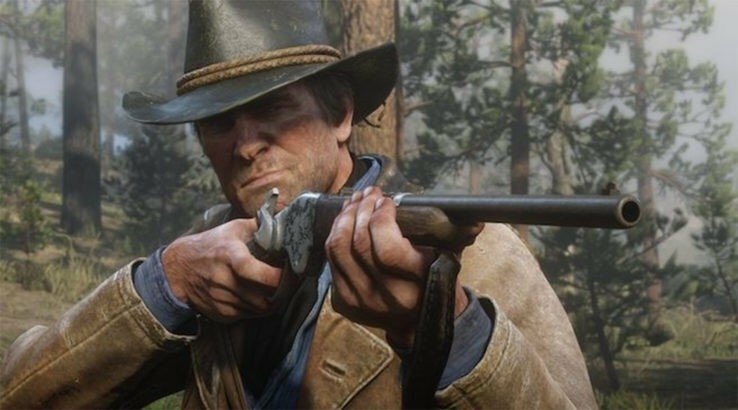 Additionally, once you add in all the hunting, weapon customization, and the hundreds of decisions you can make, it’s likely that most players will spend a lot more time in Red Dead Redemption 2‘s world. Are you excited about the campaign length or can you already see this game in your backlog? Let us know in the comments below. Red Dead Redemption 2 arrives on October 26, 2018 for the PlayStation 4 and Xbox One. Red Dead Online will arrive shortly after and be available to PS4 players thirty days before everyone else. Stay tuned for when the beta launches in November 2018.